The Montpelier Archaeology Department is a research and public archaeology department. This means the focus of the department is to include the public in every aspect of the archaeological process. This commitment plays out in multiple venues: public programming that emphasizes hands-on citizen science, open and accessible visitor spaces, and descendant and stakeholder engagement. To register for our public programs, please visit the main Montpelier website or email us at dig@montpelier.org. Montpelier has developed four different week-long, hands-on Expedition programs that give members of the public with no experience opportunities to work alongside members of the archaeology department to learn how sites are located, excavated, analyzed, and reconstructed. The LEARN Expedition Program is one of the few like it in the country. 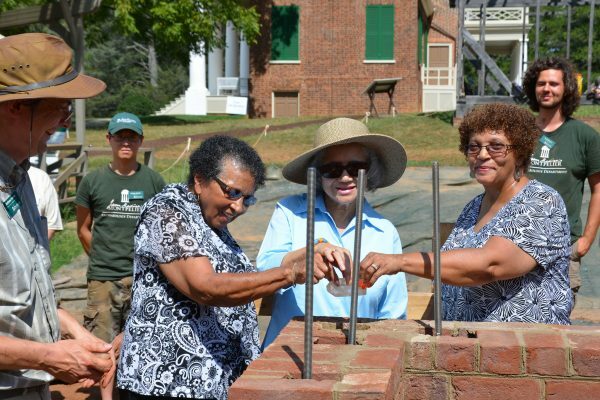 Participants leave with a full understanding of the archaeological process, and become members of the larger Montpelier Family. Our lab is completely open and accessible to the public. Visitors can walk into the lab and talk with our archaeologists, see the work they are doing, examine our study collection, and learn about the analytical and conservation processes. The lab is also home to a robust volunteer program, as well as our annual Archaeology Analysis Expedition Program! Dig It tours are hosted each month, and feature different opportunities to go behind the scenes into different elements of the archaeological experience. Each an hour long, these programs give the public a chance to work in the field, the lab, or experience a landscape tour of metal detecting sites and cemeteries, all led by the archaeology department. Each year, we offer a 5 week archaeological field school, hosted through James Madison University and SUNY-Plattsburgh. College students and recent graduates live on the property and learn basic archaeological excavation and lab skills, participate in public archaeology events, receive lectures on archaeological analysis, and produce a site report on their excavations. We offer the field school for credit and non-credit. 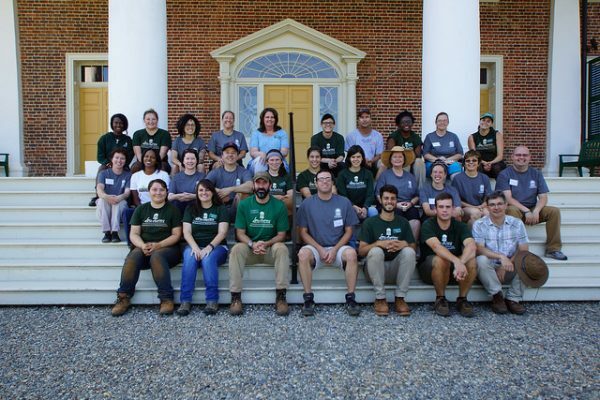 The Montpelier Archaeology Internship Program is designed to provide full-time employment for 9 months for recent graduates interested in pursuing a career in archaeology. Interns are chosen from the archaeology field school, and work as part of the archaeology team in the field and lab. Interns are paid, receive free housing, and conduct independent research on Montpelier’s archaeology, which is presented at the Mid Atlantic Archaeology Conference each year. The Archaeology Department has worked closely with the Descendent Community since the early 2000s, when they took on the project of restoring and conducting excavations at the Gilmore Cabin. This partnership has continued through public excavations and events, and the collaboration on the Mere Distinction of Colour Exhibition. The Expedition Program has encountered thousands of participants over the past 12 years. Participants range in age from 10 to 85, and many return each year to be a part of an archaeological excavation. 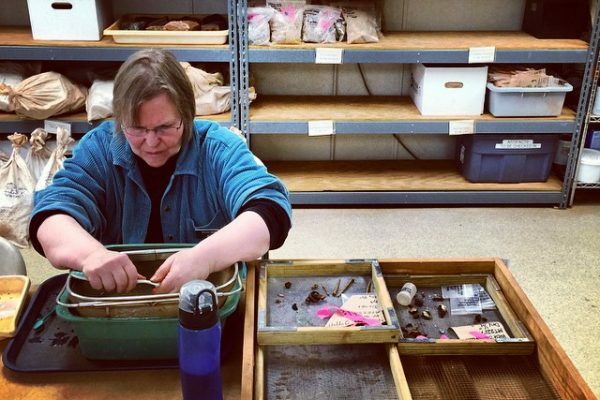 Our department has around 30 regular volunteers who work at the Montpelier Archaeology Lab each week, contributing thousands of human hours each year. Teachers and students are an important group that works regularly with our department. 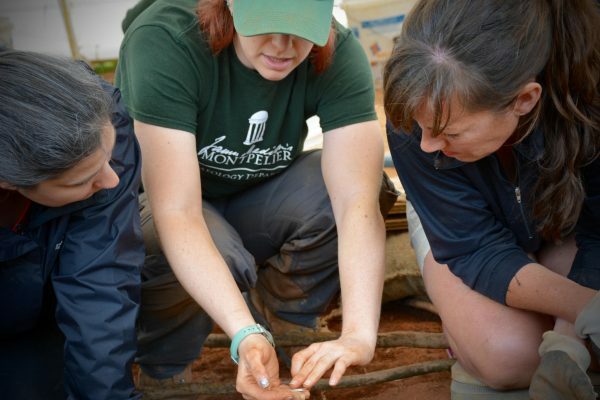 Teacher training programs and the archaeological field school have resulted in a large cohort of teachers and students connected to the archaeology department.